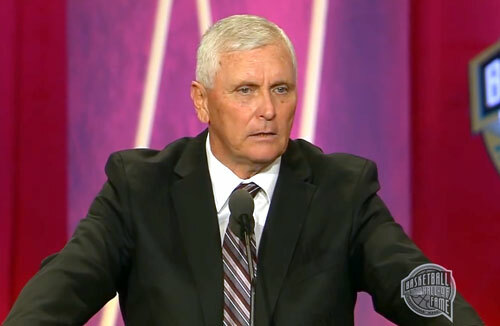 Bob Hurley Sr. is a former NBA basketball player and is currently the basketball coach at St. Anthony High School in Jersey City, NJ. Hurley was previously the head coach of the Buffalo Bulls men’s basketball team, replacing Reggie Witherspoon on March 26, 2013. He also was assistant coach for Wagner and was an associate head coach for Rhode Island on the staffs of his younger brother Dan. Sports Speakers 360 is a booking agent for pro athletes. If you would like to book Bob Hurley Sr. for a speaking engagement, appearance or endorsement, contact an Bob Hurley Sr. booking agent for fees at 1.855.303.5450.